Dental phobia may be something of a standing joke, but for as many as 15% of Americans, it is a very real and debilitating condition. Patients that suffer from dental phobia can find it virtually impossible to attend a regular check-up. Even receiving a letter or email from their dentist reminding them to make an appointment can make their heart pound, their hands sweat and shake and their stomach feel uneasy. Some sufferers can experience panic attacks and even faint. Unfortunately, their inability to attend regular dental appointments means that their oral health is likely to suffer. Patients with dental phobia have a far greater risk of developing dental problems including tooth decay, gum disease and tooth loss. These can affect the function and appearance of the teeth and can have a negative impact on confidence and self-esteem. Poor dental health has also been linked to some serious health problems, including diabetes, heart disease and stroke. By avoiding the dentist, dental phobia patients are also increasing their risk of developing some dangerous medical conditions. 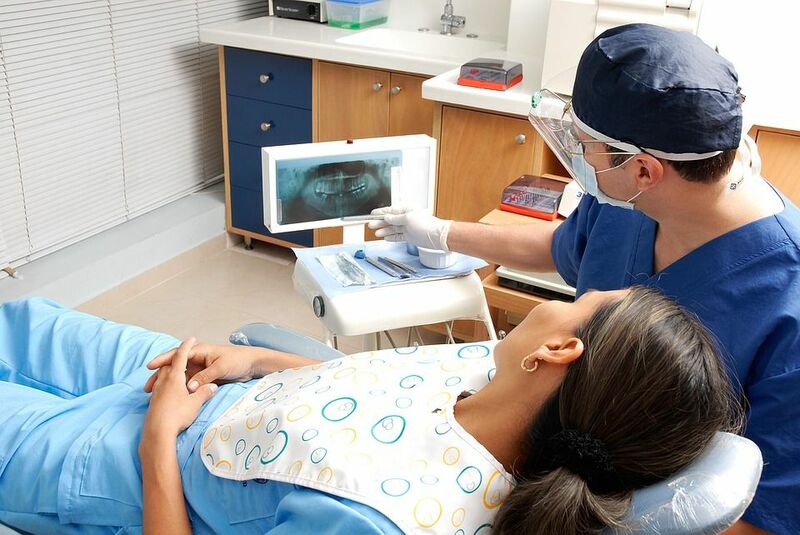 Thankfully, sedation dentistry offers a way around dental phobia and makes regular visits to the dentist and improved oral health possible for even the most anxious patient. Sedation dentistry, sometimes also known as sleep dentistry, is the term given to the use of medicine to help a patient relax during dental procedures. The level of sedation that is offered will depend on how anxious the patient is and what type of dental work needs to be performed. Nitrous Oxide Also known as laughing gas, nitrous oxide provides the lowest level of sedation. The patient receives the gas through a mask or tube placed over their nose and/or mouth, and the level will be carefully monitored during the treatment. With nitrous oxide sedation, the patient will be fully awake, but calm and relaxed, during the procedure. Oral Sedation Usually administered as a pill which is swallowed an hour or so before the procedure, this is the next depth of sedation. Patients may find themselves dozing slightly during their treatment. IV Sedation This is the deepest level of sedation before a general anesthetic. Sedatives are administered through an intravenous line into the bloodstream, and are carefully monitored throughout the procedure. Patients usually have little or no memory of their treatment. General Anesthetic Also administered intravenously, general anesthetic means that the patient is completely asleep for the duration of the procedure. If you experience extreme anxiety about visiting the dentist, then sedation dentistry may be the ideal solution for you. However, to be certain that you are a suitable candidate for the procedure, you will need to attend a consultation appointment with Dr. Cadle where you can discuss your condition further. He will be able to advise you if sedation dentistry will help you to overcome your dental phobia.